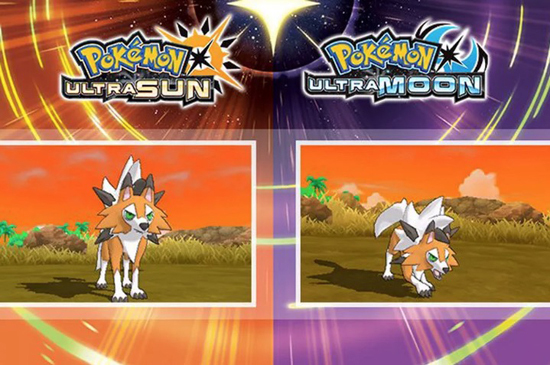 Pokémon Ultra Sun and Ultra Moon will introduce a third form for Lycanroc — Dusk Form — when it launches in November. Lycanroc evolves from Rockruff, with the form depending on the version of Pokémon and the time of day Rockruff is leveled up. “You can't get Dusk Form Lycanroc on your team by ordinary methods, such as discovering the mysterious Pokémon in the wild,” said the announcement. How you'll be able to collect it is not yet known. Pokémon Ultra Sun and Ultra Moon launch Nov. 17 for the Nintendo 3DS, returning with all-new Pokémon and a new story set within the world of Pokémon Sun and Moon.